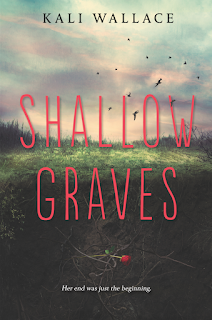 Synopsis: For fans of Holly Black and Nova Ren Suma, a gripping, hauntingly atmospheric novel about murder, revenge, and a world where monsters—human and otherwise—lurk at the fringes. "I don't know," he said. "You live, I guess. Same as everybody else." "I can't live. I'm dead." "You're only kind of dead." 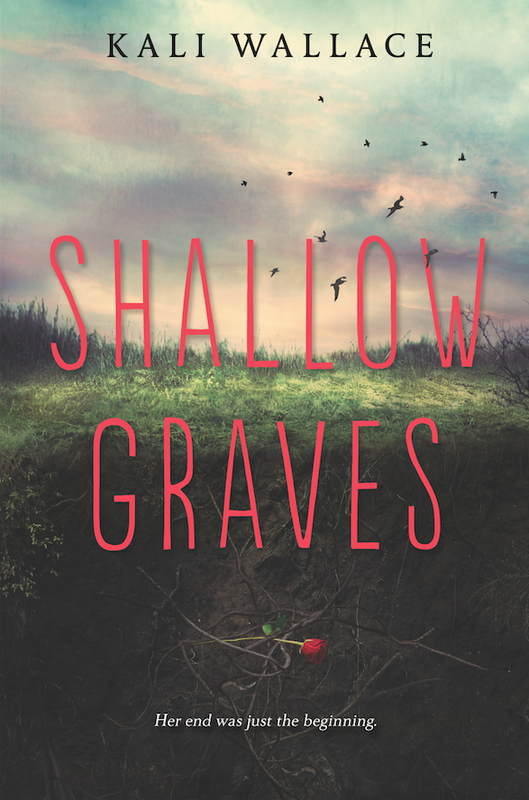 I think I can only accurately describe what I feel about Shallow Graves when I say my thoughts are torn in half. Split right down the middle, fifty percent of this book was extremely vague - not bad, per se - but just out there, off the mark and not at all what I was expecting. The other fifty percent was basically the chemistry filled, family filled, or space related stuff that I did love about the book. In all honesty, this book kept pushing itself down, and then redeeming itself and repeating the same cycle over and over, and it made for a pleasant, not so pleasant reading experience - one that I'm not sure I want to embark on again. Zeke and Jake - The brothers, 'monsters', inappropriately funny monster humor such as "The first rule of mermaid cannibal club is don't talk about mermaid cannibal club,'' family moments in the past, Breezy's INABILITY TO DIE, that super strong beginning, the actual killing process (yes, I'm that morbid.) and just Breezy's over the top curiosity and need for answers. The monsters, the final fight with the Mother, the creep factor, Violet, Mr. Willow, Lyle, the entire congregation of anti monster people and Ingrid. Sigh. If you were to ask me to sum this up though, I'd say that though this book had an AMAZING storyline, and this amazing set of characters, it sort of missed the mark on what I expected it to be. ''The first time I killed a man, it was an accident." "They didn't know what I was. They didn't know I didn't need to breathe." "Dragons?" Rain repeater. "This might all be worth it if dragons were real." "There was a little voice in the back of my head whispering, an angry stage whisper that said: I am human. I know how we are. But I knew the difference between a truth and a lie, even inside my own head." 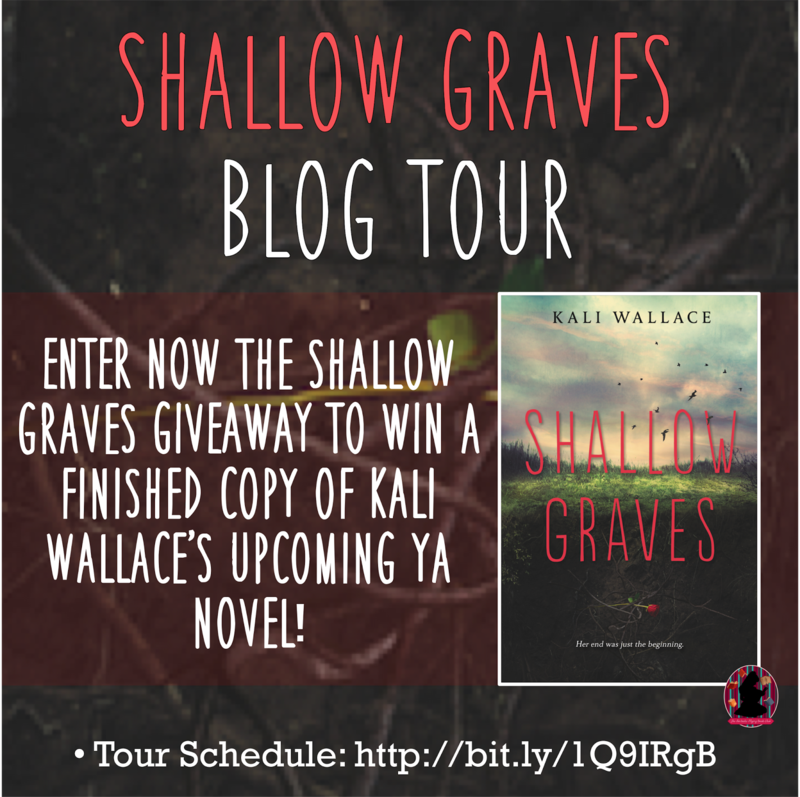 Follow the Shallow Graves by Kali Wallace Blog Tour and don't miss anything! Click on the banner to see the tour schedule. 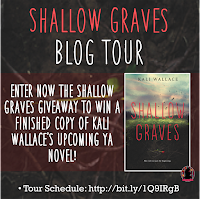 Kali Wallace studied geology and geophysics before she decided she enjoyed inventing imaginary worlds as much as she liked researching the real one. Her short fiction has appeared in Clarkesworld, F&SF, Asimov's, Lightspeed Magazine, and Tor.com. 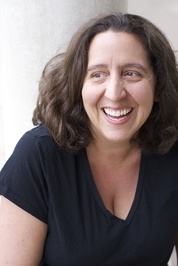 Her first novel will be published by Katherine Tegen Books in 2016. She lives in southern California.